Greater Dandenong is supporting a campaign to give tenants “a fair shake”. Councillor Sean O’Reilly was among supporters for a motion from Cr Roz Blades to get behind the Make Renting Fair Campaign at the 13 June council meeting. Cr O’Reilly said the balance of power in Australia had shifted to the landlords. “I’ve seen that shift happen over decades,” he said. “Due to housing affordability, young people are renting longer and supply is under strain and not meeting demands. “When that happens, naturally renters are not going to want to complain to their landlord when the property they’re living in doesn’t meet minimum standards. He said stronger controls and minimum standards would mean “everybody gets a fair shake”. 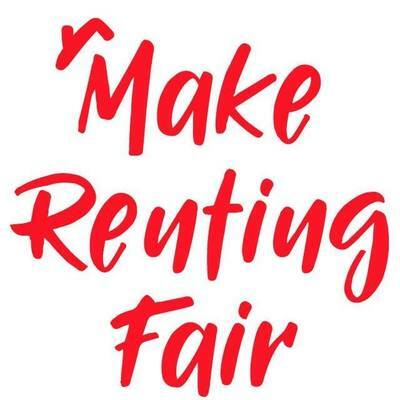 The Tenants Union of Victoria launched the Make Renting Fair Campaign in response to a State Government review into the Residential Tenancies Act, which controls safety, security of tenure and privacy. Cr Blades said Greater Dandenong’s Housing Strategy 2014-2024 found that affordability was one of the biggest housing issues facing the community. “One third of our population are in rental properties,” she said. “Rising property and rental prices have reduced housing affordability in Greater Dandenong. “Throwing our support behind this advocacy campaign is one way to publically support vulnerable members of our community. “Large amounts of our people can’t afford to rent decent properties. “There are a number of properties that are quite unsuitable. “I’ve been in houses where laundries have been boarded up, where there’s not been proper access to showers. “They don’t seem to have any rights. The Make Renting Fair Campaign is seeking changes to the Residential Tenancies Act including improving security of tenure and rental, protecting tenants from unjustified eviction; having rental properties meet and maintain minimum health, safety and energy standards; and protecting the privacy of tenants from unreasonable visits by landlords and taking photographs during those visits. Cr Blades’ motion asked the council to draft a media release in public support of the campaign and write to the Consumer Affairs Minister to endorse it. Cr Tim Dark opposed the motion. He worried the campaign was advocating for forcing landlords to update their properties to new standards. He said he worked in residential real estate for two years. “Landlords never absorb any costs. It’s always passed onto the tenant,” he said. “That counteracts the whole point. Cr Kirwan said the campaign’s aims were “about reflecting a new reality in Australia”. “We are not far away from a majority of Australians renting for the rest of their lives,” he said. “Only the property industry in Victoria are against it and they have vested interests to be.